As Rebecca points out in another great article on the Robbins Library blog (“Freedom to Choose”), “There’s great value in discussion, and books are, by far, the safest route into many of these discussions.” With a few exceptions, the books that get people up in arms are novels, not nonfiction. This only proves that fiction is powerful; that it engages readers’ imagination and empathy, allowing them to experience a time, place, culture, or situation that they might not otherwise be exposed to – or, if they are exposed to it, they may be unprepared. A little over a year ago, I wrote about the power and importance of fiction (“The Gleam in the Dark”), citing “Your Brain on Fiction” by Annie Murphy Paul from The New York Times and “Why Fiction is Good for You” by Jonathan Gottschall from the Boston Globe. Those pieces are worth a re-read now, during Banned Books Week, to remind us all about the value of stepping into someone else’s shoes, and the magical power fiction has to let us do that. 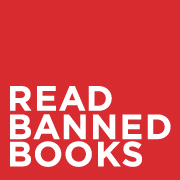 There is lots of great Banned Books Week-related stuff on Twitter this week (#BannedBooksWeek), and today’s Library Link of the Day was an NPR segment from Tell Me More called “Could banning books actually encourage more readers?” (Answer: we hope so!) My favorite find via Twitter (so far, at least) is this post from Shoshana at the Brookline Booksmith. It was a good reminder that librarians aren’t the only ones fighting for intellectual freedom and defending everyone’s right to read; publishers and booksellers are in it with us. She makes a great point: what is “appropriate” for one reader may not be appropriate for another (this is one of the reasons that putting ratings on books is a terrible idea). This is part of readers’ advisory, and it’s a great skill – as a bookseller or a librarian – to be able to talk with parents about what their kids are ready to read (or to talk directly with kids; I know an eight-year-old who didn’t feel ready to read Harry Potter when he was seven, but feels like he might be ready now). Remember: Every reader his/her book, and every book its reader. Last year for Banned Books Week, I wrote about which books were most commonly banned or challenged, and who did the challenging; I also shared a few of my favorite “better book titles for banned books.” Two years ago, less punctually, I shared a quote from Jenny Lawson, author of Let’s Pretend This Never Happened: A Mostly True Memoir (which I am certain has been challenged many times since its publication). Also in 2011, I wrote about attending the panel “Whose Common Sense?” at the ALA Annual Conference, where the four panelists (including David Levithan!) 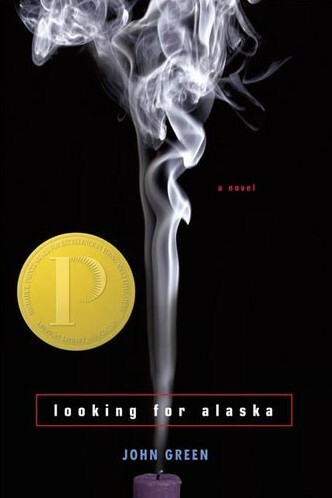 discussed why books for teens should not be labeled or censored. Even if you don’t pick up a book this week, take a moment to appreciate the fact that you could, if you wanted, and that no one would try to control your reading choices, or keep something out of reach because they thought it was inappropriate. We should all get to make our own reading choices. This fall should be a good one for publishers and readers alike. 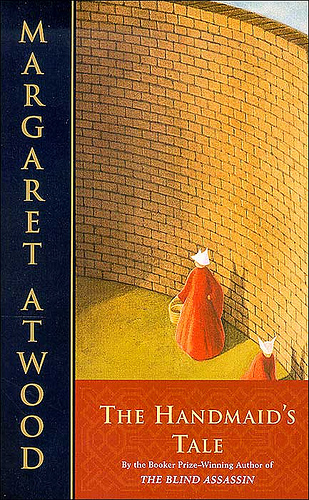 Many beloved authors are coming out with new titles in September, October, and November, including Margaret Atwood (MaddAddam), Stephen King (Doctor Sleep), Amy Tan (The Valley of Amazement), and several others. 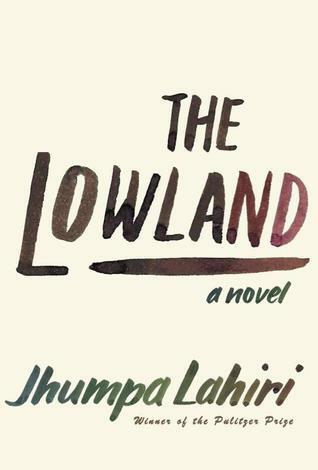 I was lucky enough to read advance copies of two of these anticipated titles: The Lowland by Jhumpa Lahiri, and The Signature of All Things by Elizabeth Gilbert. First, and most eagerly awaited, The Lowland: a friend of mine who attended ALA in Chicago snagged a galley and generously let me borrow it. Lahiri (Interpreter of Maladies, The Namesake, Unaccustomed Earth) treads familiar ground with a story of an Indian family, some of whom move to the American Northeast, and some of whom stay behind in India. Those who read the fiction section of The New Yorker may recognize the first several pages of The Lowland, in slightly altered form; it was published as “Brotherly Love” in the June 10 issue earlier this year. The brothers are Subhash and Udayan: the elder is cautious, the younger is reckless (“[Subash’s] parents did not have to worry about him and yet they did not favor him. It became his mission to obey them, given that it wasn’t possible to surprise or impress them. That was what Udayan did”). Though the brothers grow up side by side, their paths diverge, with Udayan becoming involved in a dangerous political movement – the drastic consequences of which echo for decades after Udayan’s death and Subhash’s marriage to his brother’s widow, Gauri. The narration is a close third person, shifting perspectives every so often, from Subhash, to Gauri, to their daughter Bela, to the brothers’ mother Bijoli, and finally to Udayan. Lahiri creates intensely believable characters in the Mitra family, and she covers a significant time span with her spare, beautiful prose. The Lowland has been shortlisted for both the National Book Award and the Man Booker Prize. 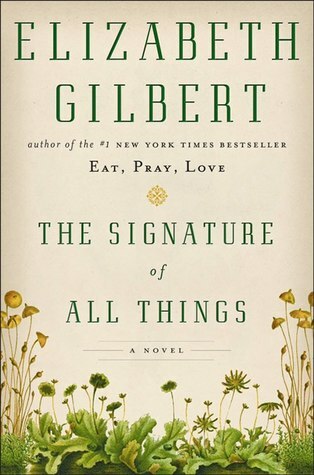 The Signature of All Things by Elizabeth Gilbert (Stern Men; Eat, Pray, Love; Committed) covers an even greater span of time, at a much more leisurely pace. For once, I could not agree more with the Publishers Weekly review, which is a marvel of conciseness. This thoroughly researched story begins with Henry Whittaker, a scrappy young thief whose father works at Kew Gardens. Henry eventually becomes one of the wealthiest men in Philadelphia, and his daughter, Alma, grows up on the family estate, White Acre. Alma is given all the advantages Henry did not have, especially education; but, because she is plain (especially compared to her beautiful adopted sister, Prudence), she must resign herself to spinsterhood while Prudence and their mutual friend, Retta, both marry. Alma devotes her time to business – after her mother Beatrix’s death, she is Henry’s right hand – and the study of mosses. Her life continues in this quiet, circumscribed, but more or less satisfying manner until the arrival of Ambrose Pike, an orchid artist. For the second time in her life, Alma falls in love, and she and Ambrose marry, but the marriage is not what either of them expected, and Ambrose leaves White Acre. Soon afterward, the inimitable Henry Whittaker dies, and Alma decides, finally, to leave White Acre and travel. She follows Ambrose’s path to Tahiti, and after a few years there, makes her way to her mother’s homeland of Holland. Gilbert incorporates her research into the story in a way that is natural, not distracting – a harder task than it appears. 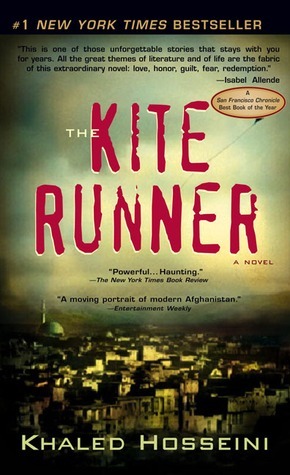 From beginning to end, she maintains control over the story and the characters; I was aware of the narrator’s voice and presence throughout the time I was reading. Perhaps this slight distance was the reason I did not feel the full emotional impact of admittedly dramatic events throughout Alma’s life. Still, this is a unique book, and an especially great choice for those who are interested in botany, science, history, or travel. Cross-posted, in modified form, from the Robbins Library blog. It’s a real struggle sometimes to refrain from prefacing the name Cory Doctorow with the phrase “my hero.” In addition to being an author (Little Brother and Homeland, among others), blogger, journalist, and the co-editor of Boing Boing, he is also a tremendous advocate for libraries. In particular, he often writes about the relationship between libraries and publishers. Most public libraries have jumped on the e-book bandwagon, and have found some platform from which to lend e-books for patrons to borrow. However, these platforms are usually somewhat clunky (though they are improving), and publisher restrictions hamper what books libraries are able to buy and how we are able to lend them. Thus, for the most part, e-books work much the same way print books do: one person can use them at a time, and if more than one person wants to read a particular book, there is a waitlist. The “one copy/one user” model, as it is called, is an artificial constraint put in place by the publishers, who require each e-book to come wrapped in digital rights management (DRM) software. DRM limits what readers can do with their e-books: an e-book with DRM will only work on certain devices, usually can’t be moved from one device to another, can’t be lent or shared, and can’t be copied. Of course, publishers are correct to be concerned. E-books are new territory, and it’s much easier to copy a digital file than it is to copy a print book. However, as Doctorow points out, libraries are, and always have been, publishers’ greatest allies. Especially with the decline of brick-and-mortar bookstores, it is often librarians, not booksellers, who connect readers with new authors. “There are libraries in every town, and even though they’re under terrible assault in the age of austerity, they remain the mark of a civilized society and benefit from librarians’ amazing organizational skills. The modern library has become something like a bookstore, where helpful staff who love books and authors take enormous pride in ‘‘hand-selling’’ the publishers’ products to their patrons. Libraries host some of the best author events, too, providing a vital space for readers and writers to connect. Librarians continue to push the conversation along, but meanwhile, we’re still buying (well, licensing) e-books for our patrons at unfair prices, under unfair restrictions. But it’s not all doom and gloom: some publishers, like sci-fi imprint Tor, are experimenting with DRM-free books, and so far that has not led to an explosion of e-book piracy, so perhaps more publishers will move in that direction.